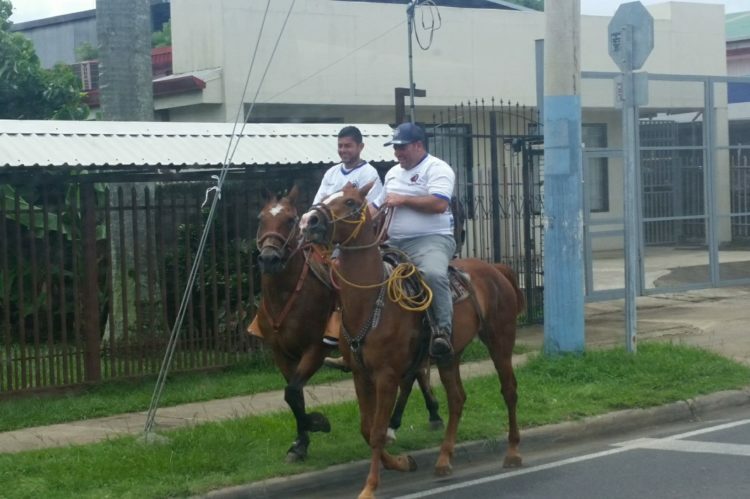 Uber is incredibly popular in Costa Rica with locals and visitors alike. We at Cosmic Volunteers recommend that our volunteers in Costa Rica use Uber at times for getting around. In Costa Rica you must pay CASH for the ride! You cannot use a credit or debit card like you do back home. On the Uber app, just change the payment option to “Cash”. If you don’t do this, the app will not even let you schedule a ride (it will display an error). When you reach your destination, the driver will finish the ride on his app and show you the price (in local currency — the Costa Rican Colon). One small difference with Uber in Costa Rica: Try to sit in the front seat. As our local coordinators advise, this can help the driver avoid the attention of police (more below about the legality of Uber in Costa Rica). 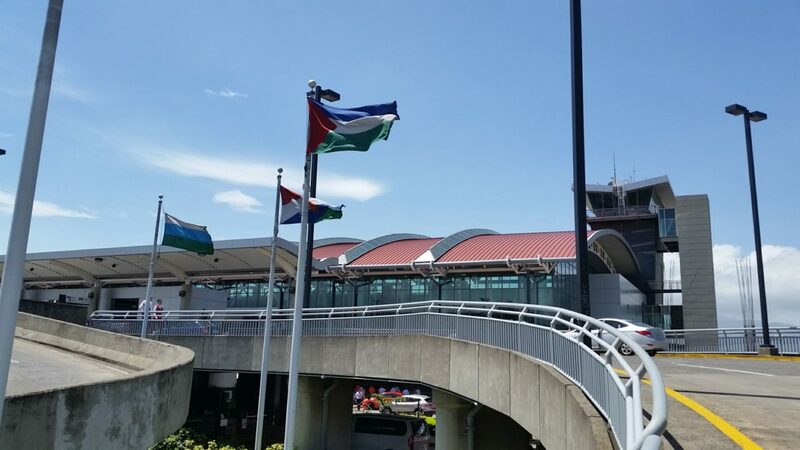 Why Use Uber in Costa Rica? 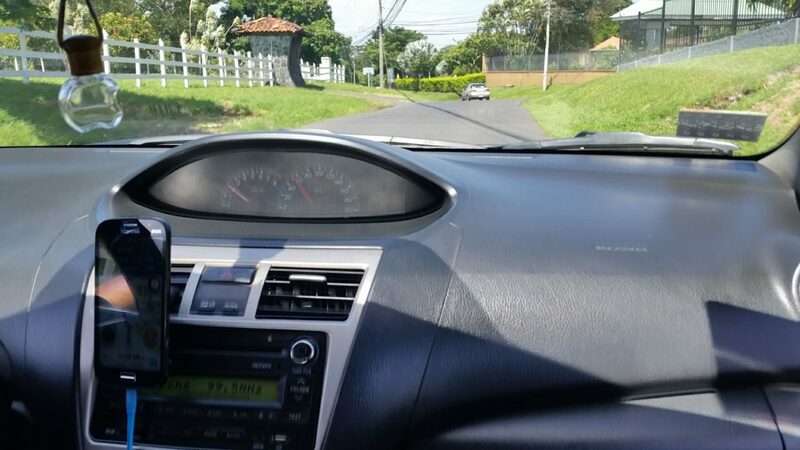 Uber in Costa Rica is fast, safe, convenient, and much cheaper than taxis. A taxi ride from Barrio Jesus in Heredia to the airport costs $15 with a taxi. With Uber the same ride costs $8. For safety: Night time is very difficult to walk around our main program town of Heredia. Not because of street crime (it’s rare) but because of the lack of sidewalks and streetlights. Take Uber or a public bus instead. Uber in Costa Rica also saves you the hassle of haggling with taxi drivers over the price of the ride. Most taxi drivers in non-western countries, including Costa Rica, often refuse to use the meter for the fare. Instead, they size up each passenger (especially us foreigners) and try to gouge us according to our willingness and ability to haggle. On my way to the airport in Baltimore last month for my trip to Costa Rica, I mistakenly got on the wrong train and ended up a few miles from BWI Airport at around 10PM. So I tried calling for a taxi. Number 2 on Yelp was Tim’s Taxis. As the dispatcher was picking up, I heard a toilet flushing. He tells me it’s a 45-minute wait, do I want a call back. Yes, please. They never called back. I hung up and figured I’d do Uber. My brother is a recent convert from his frequent business trips. So I downloaded the Uber app, standing outside the Ferndale Tavern. Five minutes later my driver Dave pulled up and I was on my way to BWI. Easy and hassle-free. And only $9 bucks. Is Uber Illegal in Costa Rica? Huffington Post says Uber is legal in Costa Rica. Media company QCostarica says that Uber passengers in Costa Rica are exempt from any sanctions from police. But I prefer to listen to the people who would really know — the Uber drivers themselves. 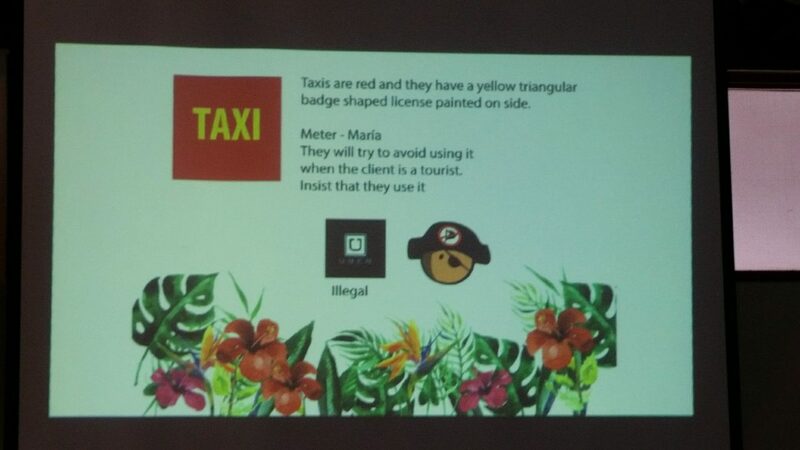 Uber is illegal in Costa Rica. On my last Uber ride in Costa Rica — to the airport for my departure flight — the driver told me that he had to drop me off on the sidewalk outside the airport instead of at the Departures curb. If the cops at the airport suspected he’s an Uber driver, they would impound his car and require him to pay a fine of $4,000 USD to get his car back. The first such fine given to an Uber driver in Costa was in November 2017. So the fines for Uber drivers in Costa Rica are real — and they’re spectacular-ly high — even by western standards. Regardless, Uber drivers are clearly taking their chances. I opened the Uber app daily in Costa Rica just to test if there were drivers nearby. Even in rural areas, drivers were never more than 10 minutes away. At shopping malls like Paseo de las Flores in Heredia, the front entrances are constantly clogged with Uber cars and riders. Uber itself has a web page dedicated to San Jose, Costa Rica. So they ain’t hiding either. The gravy train for Uber worldwide will probably fade when their subsidies run out. Until then, I’m calling Uber a game-changer for travelers and locals in Costa Rica — including our volunteers. 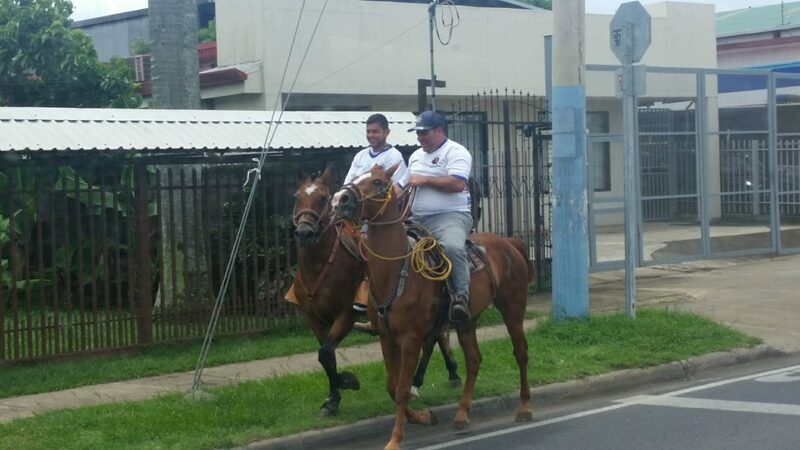 Can Uber for Horses be far behind in Costa Rica? ?